In “Rise of the Tomb Raider,” Lara Croft embarks on her first great tomb raiding expedition to uncover an ancient mystery that places her in the cross-hairs of a ruthless organization known as Trinity. This new trailer – entitled “Descent Into Legend” – features never-before-seen gameplay footage as Lara explores vast, awe-inspiring ancient tombs filled with traps and puzzles, and battles the harsh elements and landscapes in her search for the Lost City of Kitezh. 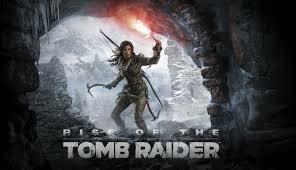 Fans will set out on their own great tomb raiding adventure when the game launches on Xbox One and Xbox 360 on Nov. 10.